This ‘stat of the week’ is about Messaging Apps. 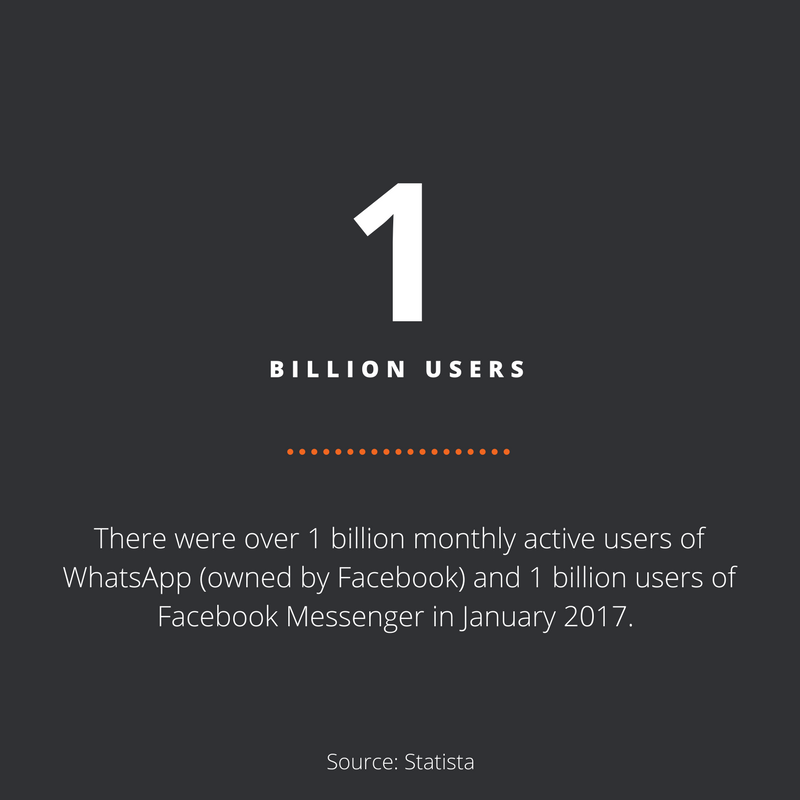 According to Statista, there were over 1 billion monthly active users of WhatsApp (owned by Facebook) and 1 billion users of Facebook Messenger in January 2017. If we exclude China (where QQ Mobile and WeChat are primarily used), Facebook is completely dominating the global Messaging Apps market.